Ditch, Krizz Kahliko, Three 6 Mafia, and those of that nature. Explains the way he raps today. ADHD decided to actually do something with his music in November of 2017. ADHD has released two tracks as of now “Lil Strange” Ft. Wyshmasterbeats(wish master beats), and “I’m Back” Ft. Pure Love Productions. On February 17 th, 2018 ADHD released “Lil Strange” and is being featured on Hood and Associates with Universal Music Group Distribution “Undiscovered Gold Album Vol.1” which releases at the end of March 2018. “Lil Strange” will also be available on over 1000 digitals stores worldwide. On March 4 th , 2018 ADHD released his second track “Im Back”, getting feedback from fans from Hong Kong, to Russia, Australia to India, and New York to Arizona, this song is his hottest yet. 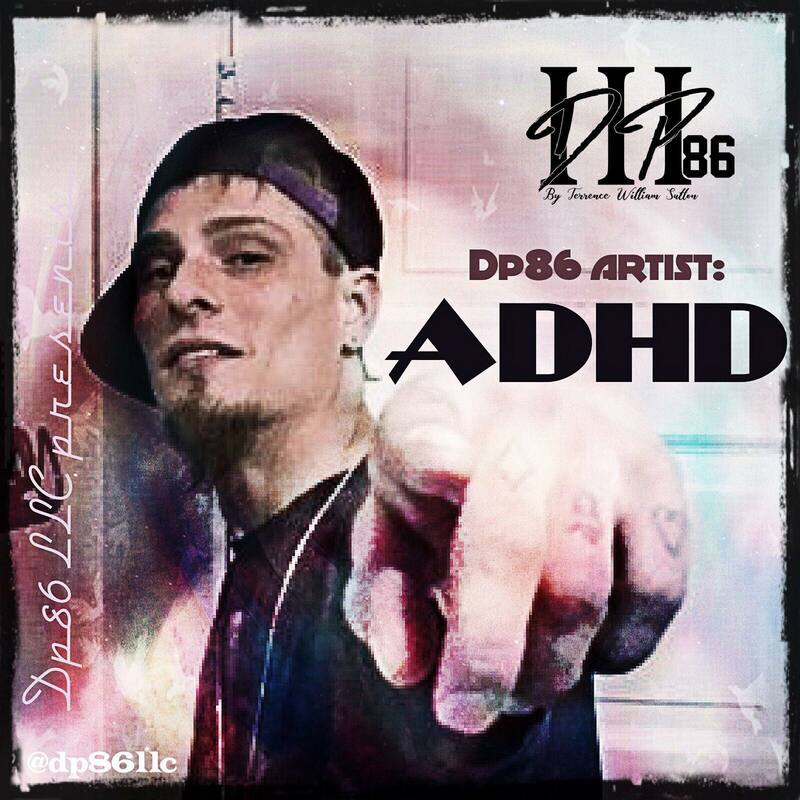 In May 2018 ADHD was signed by DP86 LLC. Out of Chicago, IL. Takin him only 4 months to get signed and with only 7 months in the industry, ADHD is surely making an impact. As of now ADHD is known for his song called ARMAGEDON. This song has only been performed live and has caught most his fans “off-guard”.